My apologies, but I have been too busy to craft a new article yet. 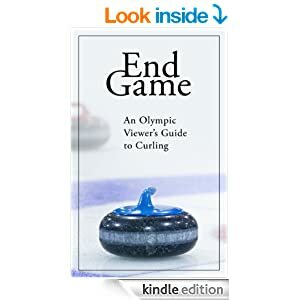 There is much to examine, with the Olympics currently underway, Scotties finished up and Provincial Championships all completed. I also have plans to compare individual teams or groups of teams to baseline analysis. Trying to use an approach similar to WPA (win Probability Added) in Baseball, but this will take some time. In the meantime, I was struck by a recent thread on Curlingzone.com related to Scotalnd...er, um...I mean Great Britain against Canada last night in their Olympic Round Robin game. In the game, GB was one up without hammer starting the 9th end. GB (Team Murdoch) attempted to throw a centre guard but inadvertantly came into the rings and Canada (Team Martin) subsequently blanked the end and had hammer, one down, in the final end. Why didn't Murdoch throw his last rock away, leaving Martin a draw for two in the 9th end? And then why wouldn't Martin then peel his own rock out of the house in order to be one down in the last end? Over a very large sample size of competitive games, encompassing Mens and Womens: Worlds, Olympics, Canada Olympic Trials, World Curling Tour, Grand Slams, Provincials and Canadian Championships, the number consistantly comes out to a 40% chance to win if one down with hammer in the last end. The result of these numbers is that, mathematically, the best end to be one up without hammer is the second last end. WP = 65%, nearly Control (which I calculate to be 66% to 80%, see my previous article here: http://curlwithmath.blogspot.com/2008/11/statistics-for-womens-curling-and-what.html). The reason for this advantage is, the team without hammer can play the end aggressively, trying to force the opponent to take one (WP=75%) or possibly even steal (WP=88%), and the primary risk is surrendering a deuce and still having a 40% chance in the final end. Murdoch's mistake last night was allowing the 9th end to play out as a blank. Perhaps they could have considered playing a centre guard on their second shot, even if facing a Martin stone in the rings. Also, Murdoch could have considered drawing to the back eight foot on skips first shot. then, if Martin nose hits, he would have the option to attempt a freeze to the Martin stone and possibly force Canada to a single.